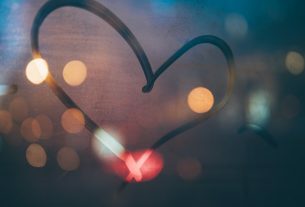 This article is part of our FREEDOM SERIES; in the run-up to Valentine’s Day and as we aim to upend the mass-market cookie cutter romance-celebrations, we’re taking a closer look at Relationships. Whether you’re out and proud or trying to navigate your own way, we’re here to tell you you’re #NotAlone and that we’re committed to maintaining a safe space for you to share your stories, if you choose to. Some tips and insight from relationship experts can’t hurt! Sometimes it’s confusing though — how best to reject societal categories and navigate the increasingly complicated online-offline world, while trying to make a connection that lasts? Perhaps the most important thing is to identify what it is we’re looking for. Is it a hook-up, is it casual? Is it something more? Is it going to be all about love and other messy feelings, maybe with a side order of companionship and acceptance? 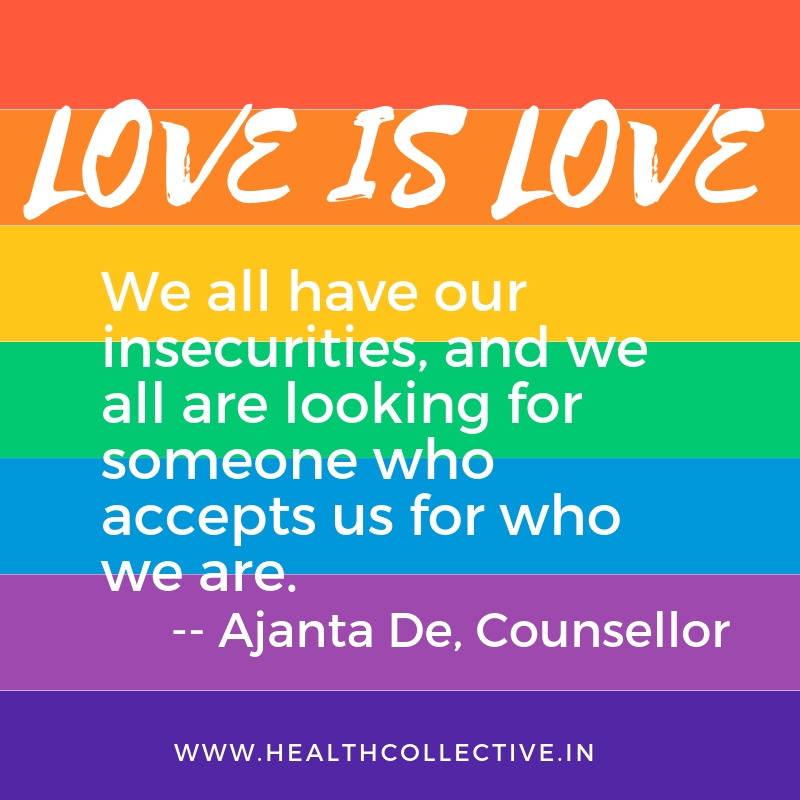 The Health Collective reached out to Karan Solanki, a 21 year old transman, born and brought up in Mumbai, who tells us, “Love is the seed of relationships, and intimacy on the other hand is what makes it grow. Intimacy is a small part for nurturing the relationship.” Talking about gender fluidity and relationship dynamics, Solanki says that while responsibilities may differ from couple to couple, the core i.e love, is what remains constant for any relationship. And that may be where offline, IRL interactions trump all else. Now (especially after a certain age in India), when we talk about relationships, we often think of companionship. Partners we can love, be friends with, be intimate with, emotionally secure with; partners who understand us, don’t judge us, partners we can be sexually as liberated as we want to be with. Partners we can build a life with. But is that all a relationship is about? Isn’t that a heteronormative way to look at things? In her thesis, HIJRA LIVES: NEGOTIATING SOCIAL EXCLUSION AND IDENTITIES Mrinalini Ray, a social development professional working with NR Management Consultants says, “The dominant understanding of hijra relationships is seen as a transgression from heteronormative relationships, however from my interaction with them, it appears that it is based on similar heteronormative notions of love. To hijras, conformity to the idea of heteronormative relationships may not seem apparent, but from their narratives, one can clearly see the desire to replicate similar patterns and similar notions of love and relationships. Having said that, a relationship is a relationship is a relationship, it sounds like. “Everyone comes with the same relationship problems,” says Ajanta De, a counsellor and co-founder of Innersight Counselling & Training Centre in Bengaluru. “We all have our insecurities, and we all are looking for someone who accepts us for who we are. Jealousy, possessiveness, insecurity — be it a heterosexual couple, gay, lesbian or anyone else — we will all go through the same emotions,” she tells The Health Collective. But are we all looking for the same things in relationships? Surely not. She adds, “Similarly, a client once told me, when two men are in a relationship, you are looking at two male egos.” Though that is just one person’s perspective, it may be an insight. Another insight is when it comes to the fluidity of gender roles in a relationship; there is that element of choice which is much more 21st century than traditional societally-defined normative roles. “The roles in the relationship arise from each individual’s interest, or lack of interest in something. If one person likes to cook, then they take up that responsibility, and if one of them enjoys doing the paperwork, they would take up that responsibility. There’s a choice, and these are not defined by societal norms”, says De. Being able to choose, feeling safe about expressing ourselves, being able to communicate without fear of judgement is so crucial. And that might be what is universal — the need to connect and communicate in a safe, non-judgmental space. 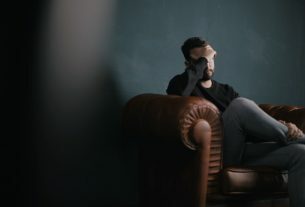 The fact is that while we’re all chasing the happily ever afters, there are also myriad ways to get hurt, to face emotional abuse, trauma, even gaslighting. We need to be be able to seek help, stay safe and protect ourselves — none of which can happen if we aren’t able to speak about these issues openly. D’Souza is active in LGBTQ+ rights movement in Mumbai and across the region. He’s an advocacy coordinator of The QKnit, an online LGBTQIA+ collaborative, and voices a concern about the vulnerability of the community, including when it comes to suicide. Article 377 being read down last year was a watershed moment in India’s history. But there’s still a long way to go in terms of building safe spaces and tackling societal discrimination. Here’s to building from that, collectively. 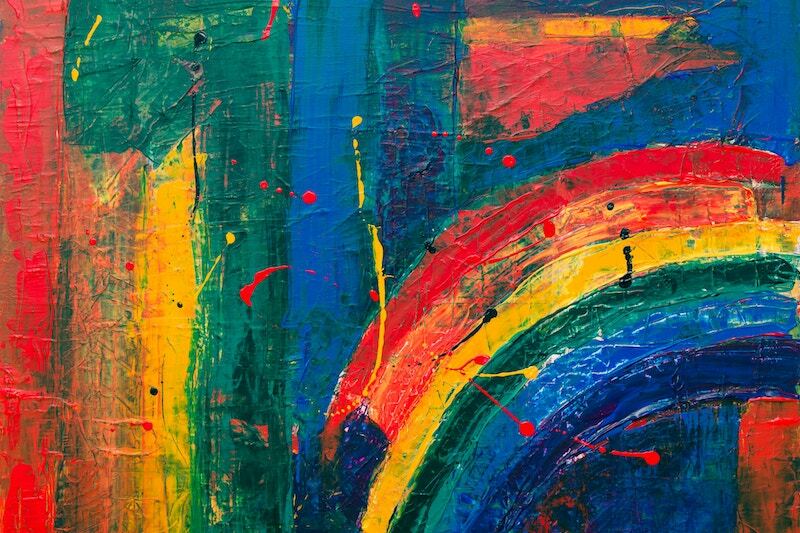 Is Therapy Meant for Everyone?